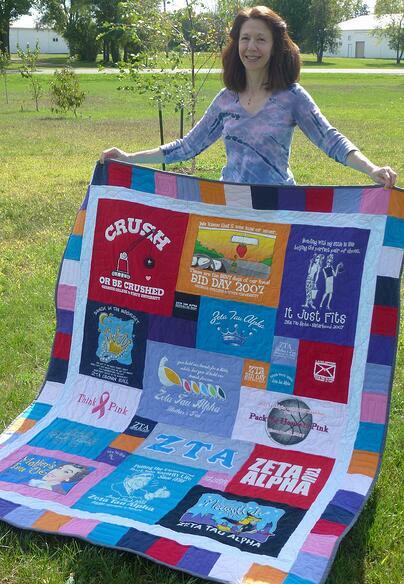 Too Cool T-shirt Quilts - Peachtree is located in Hoover Alabama and owned by Marla Paletz. At the age of 8, Marla was taught to sew by a neighborhood friend. After receiving her first sewing machine at the age of 12, her entrepreneurial side inspired her to create a small purse company. Marla sold her own purses, similar to today's hobo style purses, at $10 a bag for a few summers during high school. She then moved on to making clothes for herself, and then years later, for her daughters. Marla's passion for sewing has remained strong through out her life. "Sitting in front of the sewing machine is the best feeling," except, of course, for the love she has for her husband and daughters. After a persistent friend suggested that she start quilting, Marla began teaching herself how to make quilts and eventually moved on to T-shirt quilts. At first Marla began with creating checkerboard style block T-shirt quilts, but knew there was something more; something more creative and inspiring that could be done with T-shirt quilts. Searching the internet, Marla found Too Cool T-shirt Quilts and felt she had found the 'something more'. 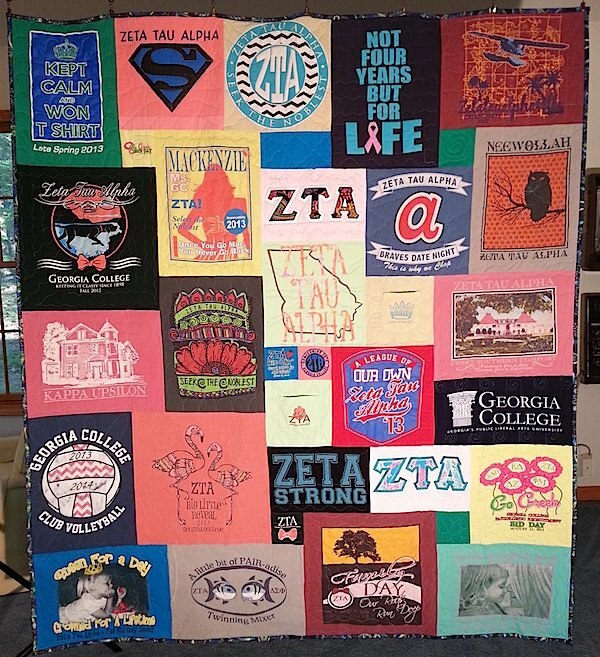 Now as owner of Too Cool T-shirt Quilts - Peachtree, Marla is able to expand on her lifetime of experience sewing, entrepreneurial spirit and the Too Cool method to provide customers with quality Too Cool T-shirt quilts.